Combine kidnapping, mystery, farce, and a good measure of quirkiness, and you’ve defined the quintessential Coen Brothers script. Complete with a cast of Coen alums, Hail, Caesar! is just such a film. 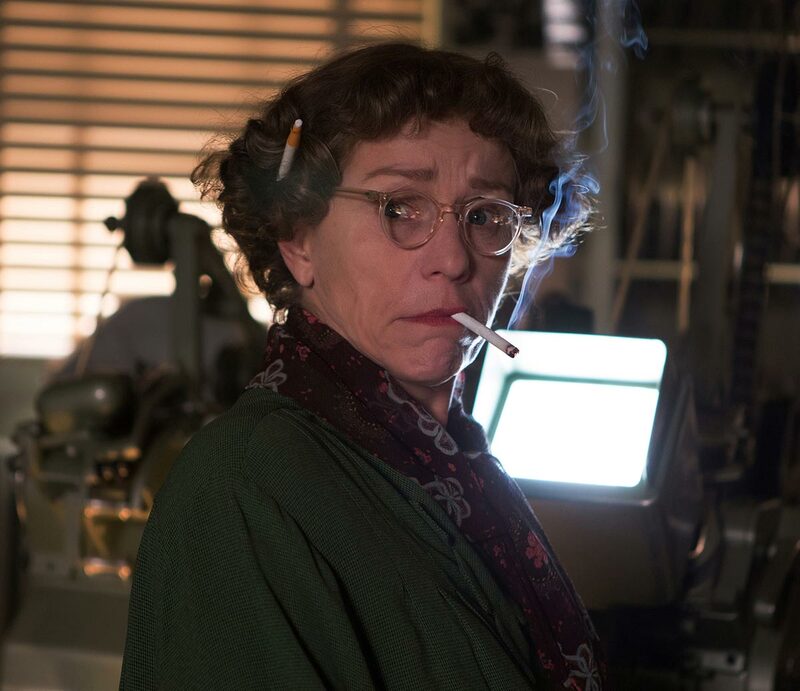 Joel and Ethan Coen’s latest is set in the motion picture factory town of Hollywood in the 1950s. 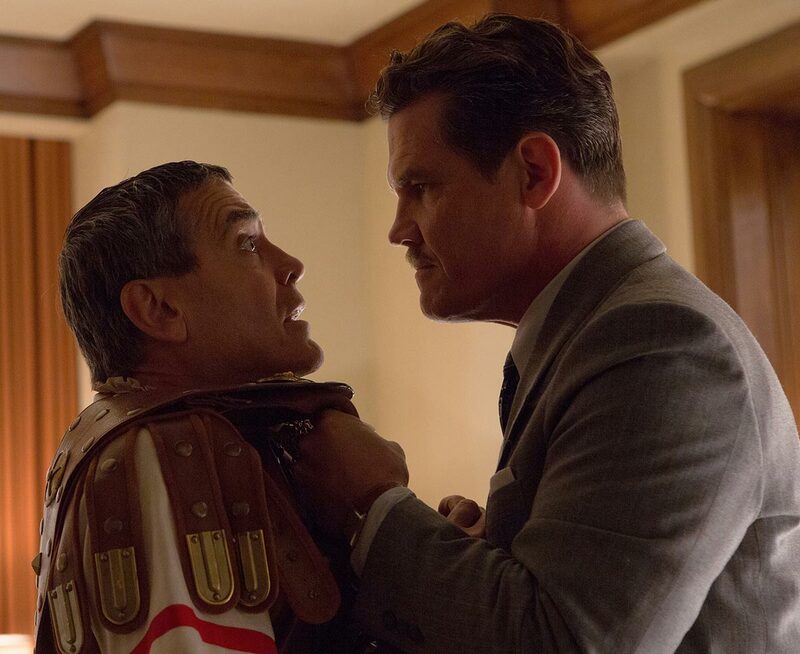 Eddie Mannix (Josh Brolin) is a studio fixer tasked with finding Baird Whitlock (George Clooney), one of the studio’s biggest money-makers. Whitlock has been kidnapped in the middle of production of a Bible epic by a group called “The Future”. 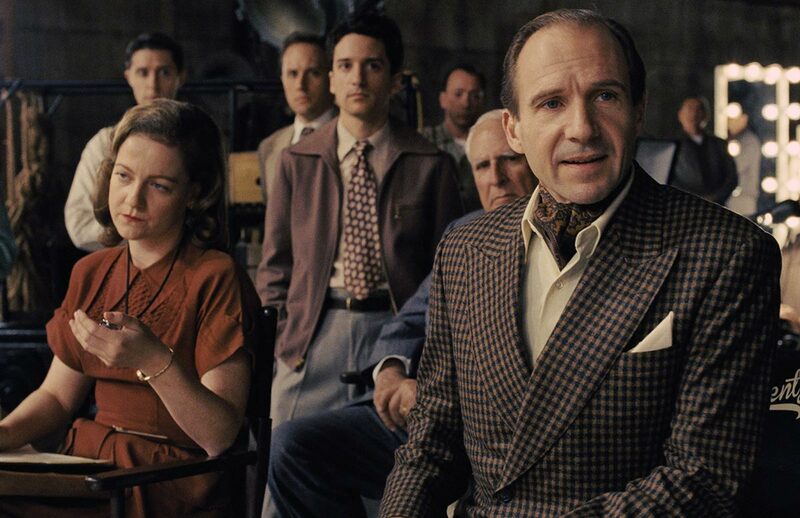 Of course, that’s not Mannix’s only dilemma, as he has other studio problems he needs to deal with, such as disgruntled director Laurence Laurentz (Ralph Fiennes) and personal issues by starlet DeeAnna Moran (Scarlett Johansson). The Hail, Caesar! story idea has been kicking around for over a decade before the Coens finally brought it into production. Along with being a concept that fits right into their wheelhouse, it’s also a complex production. In this story about the Golden Age of Hollywood, much of the film involves movies within the movie. The tale weaves in and out of multiple productions being filmed on the fictional Capitol Pictures lot. In keeping with the texture of films of that era, Hail, Caesar! was shot on film by long-time Coen director of photography, Roger Deakins (True Grit, No Country for Old Men, The Ladykillers). Deakins’ first choice might have been the ARRI ALEXA, but agreed that film was the appropriate solution and so shot with an ARRI 535-B to Kodak Vision3 negative stock. Fotokem handled development with EFILM covering telecine transfer, finishing, and digital intermediate color correction. Although they are lovers of the film image, Joel and Ethan Coen were also among the first to embrace Apple Final Cut Pro in their transition to digital editing for the film Intolerable Cruelty. They had been using Final Cut Pro up until Inside Llewyn Davis; however, it had become sufficiently “long in the tooth” that it was time for a change. This brought them to Adobe Premiere Pro CC. I recently interviewed Katie McQuerrey about this shift. She is credited as an additional or associate editor of numerous Coen films (Inside Llewyn Davis, True Grit, Burn After Reading) – a role which she describes as being Joel and Ethan’s right-hand person in the cutting room. For Hail, Caesar!, this included interfacing with Adobe and handling the general workflow so that Premiere Pro was a functional editing tool for the filmmakers. One of the unknowns with Premiere Pro was the fact that Hail, Caesar! was being shot on film. Avid has tried-and-true methods for tracking film keycode, but that was never part Premiere Pro’s architecture. Assistant editor David Smith explains, “EFILM scanned all of the negative at 2K resolution to ProRes for our cutting purposes. On an Avid job, they would have provided a corresponding ALE (Avid Log Exchange list) for the footage and you would be able to track keycode and timecode for the dailies. For this film, EFILM sync’ed the dailies and provided us with the media, as well as a Premiere Pro project file for each day. We were concerned about tracking keycode to turn over a cut list at the end of the job. Adobe even wrote us a build that included a metadata column for keycode. EFILM tracks their transfers internally, so their software would reference timecode back to the keycode in order to pull selects for the final scan and conform. At their suggestion, we used Change List software from Intelligent Assistance to provide a cut list, plus a standard EDL generated from Premiere Pro. In the end, the process wasn’t that much different after all.” EFILM scanned the selected negative clips at 4K resolution and the digital intermediate color correction was handled by Mitch Paulson under Roger Deakins’ supervision. Joel and Ethan Coen developed a style of working that stems from their film editing days and that carried over into their use of Final Cut Pro. This was adjusted for Premiere Pro. McQuerrey continues, “Ethan and Joel work on different computers. Ethan will pick selected takes and mark ins and outs. Then he saves the project and dings a bell. Joel opens that project up to use as he assembles scenes. With FCP you could have multiple projects open at once, but not so with Premiere. We found out from Adobe that the way to handle this was through the Media Browser module inside of Premiere. Joel could browse the drive for Ethan’s project and then access it for specific sequences or selected shots. Joel could import these through Media Browser into his project as a non-destructive copy, letting Ethan continue on. Media Browser is the key to working collaboratively among several editors on the same project.” Their edit system consisted of several Mac Pro “tube” models connected to Open Drives shared storage. This solution was developed by workflow engineer Jeff Brue for Gone Girl and is based on using solid state drives, which enable fast media access. Katie McQuerrey and I wrapped up the interview with an anecdote about the Coens’ unique approach to their new editing tool. McQuerrey explains, “With any application, there are a number of repetitive keystrokes. At one point Joel joked about using a foot pedal, like on an old upright Moviola. At first we laughed it off, but then I checked around and found that you could buy custom control devices for video game play, including special mice and even foot controls. So we ordered a foot pedal and hooked it up to the computer. It came with it own software that let us map command functions to the pedal. We did this with Premiere’s snapping control, because Joel constantly toggles it on and off!” It’s ironic, given the context of the Hail, Caesar! story, but here you have something straight out of the Golden Age of film that’s found itself useful in the digital age. Click here for Adobe’s behind-the-scenes look. Fans of Joel and Ethan Coen’s eclectic brand of filmmaking should be thrilled with their latest effort, Inside Llewyn Davis. The story follows Llewyn Davis as a struggling folk singer in the Greenwich Village folk scene at about 1960 – just before Bob Dylan’s early career there. Davis is played by Oscar Isaac, who most recently appeared in The Bourne Legacy. The story was inspired by the life of musician Dave Van Ronk, as chronicled in the book “The Mayor of MacDougal Street”. 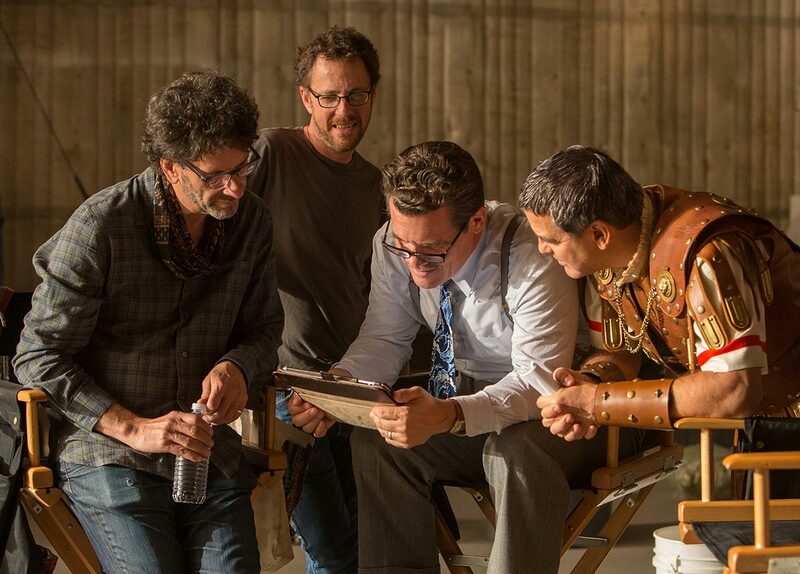 Although this is the Coen bothers’ most recent release, the film was actually produced in 2012 in true indie filmmaking fashion – without any firm commitment for distribution. It was picked up by CBS Films earlier this year. The Coen brothers tackle post with a workflow that is specific to them. I had a chance to dig into that world with Katie McQuerrey, who is credited as an additional editor on Inside Llewyn Davis. McQuerrey started with the Coen brothers as they transitioned into digital post, helping to adapt their editorial style to Apple Final Cut Pro. For many of their films, she’s worn a number of hats – helping to coordinate the assistant editors, acting as a conduit to other departments and, in general, serving as another set of eyes, ears and brain while Ethan and Joel are cutting their films. Inside Llewyn Davis was filmed on 35mm over the course of a 45-day production in 2012. It wrapped on April 4th and was followed by a 20 to 24-week post schedule, ending in a final mix by the end of September. Technicolor in New York provided lab and transfer services for the production. They scanned in all of the raw 35mm negative one time to DPX files with a 2K resolution and performed a “best light” color correction pass of the DPX files for dailies. In addition, Technicolor also synced the sound from the mono mix of production mixer Peter Kurland’s location recordings. These were delivered to the editorial team as synced ProRes files. Another year – another NAB exhibition. A lot of fun stuff to see. Plenty of innovation and advances, but no single “shocker” like last year’s introduction of the Blackmagic Cinema Camera. 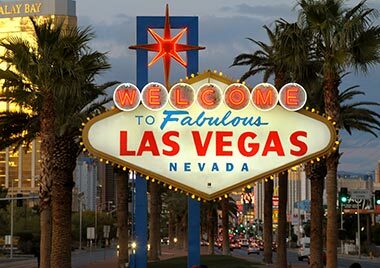 Here are some observations based on this past week in Las Vegas. Yes, 4K was all over. I was a bit surprised that many of the pieces for a complete end-to-end solution are in place. The term 4K refers to the horizontal pixel width of the image, but two common specs are used – the DCI (film) standard of 4096 and the UltraHD (aka QuadHD) standard of 3840. Both are “4K”. Forgotten in the discussion is frame rate. Many displays were showing higher frame rates, such as 4K at 60fps. 120fps is also being discussed. 4K (and higher) cameras were there from Canon, Sony, RED, JVC, GoPro and now Blackmagic Design. Stereo3D was there, too, in pockets; but, it’s all but dead (again). 4K, though, will have legs. The TV sets and distribution methods are coming into position and this is a nonintrusive experience for the viewer. SD to HD was an obvious “in your face” difference. 4K is noticeably better, but not as much as SD to HD. More like 720p versus 1080p. This means that consumer prices will have to continue to drop (as they will) for 4K to really catch hold, except for special venue applications. Right now, it’s pretty obvious how gorgeous 4K is when standing a few feet away from an 84” screen, but few folks can afford that yet. Interestingly enough, you can even do live 4K broadcasts, using 4K cameras and production products from Astro Designs. This will have value in live venues like sporting events and large corporate meetings. A new factor – “region of interest” – comes into play. This means you can shoot 4K and then scale/crop the portion of the image that interests you. Naturally there was also 8K by NHK and also Quantel. Both have been on the forefront of HD and then 4K. Quantel was demonstrating 8K (downsampled to a 4K monitor) just to show their systems have the headroom for the future. ARRI did not have a 4K camera, but the 4 x 3 sensor of the ALEXA XT model features 2880 x 2160 photosites. When you use an anamorphic 2:1 lens and record ARRIRAW, you effectively end up with an unsqueezed image of 5760 x 2160 pixels. Downsample that to a widescreen 2.4:1 image inside a 4096 DCI frame and you have visually similar results as with a Sony or RED camera delivering in 4K. This was demonstrated in the booth and the results were quite pleasing. The ALEXA looked a bit softer than comparable displays at the Sony and RED booths, but most cinematographers would probably opt for the ARRI image, since it appears a lot closer to the look of scanned film at 4K. Part of this is inherent with ARRI’s sensor array, which includes optical filtering in-camera. Sony was showing clips from the upcoming Oblivion feature film, which was shot with an F65. To many attendees these clips looked almost too crisp. In practical terms, most commercial, corporate, television or indie film users of 4K cameras want an easy workflow. If that’s your goal, then the best “true” 4K paths are to shoot with the Canon C500 or the Sony F55. The C500 can be paired with the (now shipping) AJA KiPro Quad to record 4K ProRes files. The Sony records in the XAVC codec (a variant of AVC-Intra). Both are ready to edit (importer plug-ins may be required) without conversions. You can also record ARRI 2K ProRes in an ALEXA or use one of the various raw workflows (RED, Canon, Blackmagic, Sony, ARRI). Raw is nice, but adds extra steps to the process – often with little benefit over log-profile recording to an encoded file format. With the shake-up that Apple’s introduction of Final Cut Pro X has brought to the market, brand dominance has been up for grabs. Apple wasn’t officially at the show, but did have some off-site presence, as well as a few staffers at demo pods. For example, they were showing the XAVC integration in an area of the Sony booth. FCP X was well-represented as part of other displays all over the floor. An interesting metric I noticed, was that all press covering the show on video, were cutting their reports on laptops using FCP X. That is a sweet spot for use of the application. No new FCP X news (beyond the features released with 10.0.8) was announced. Adobe is currently the most aggressive in trying to earn the hearts of editors. The “next” versions of Premiere Pro, SpeedGrade, Audition and After Effects have a ton of features that respond to customer requests and will speed workflows. Adobe’s main stage demos were packed and the general consensus of most editors discussing a move away from FCP 7 (and even Avid) was a move to Adobe. In early press, Adobe mentioned working with the Coen brothers, who have committed to cutting their next film with Premiere. The big push was for Adobe Anywhere – their answer for cloud-based editing. Although a very interesting product, it will compete in the same space as Quantel Qtube and Avid Interplay Sphere. These are enterprise solutions that require servers, storage, software and support. While it’s an interesting technology, it will tend to be of more interest to larger news operations and educational facilities than smaller post shops. Avid came on with Media Composer 7 at a new price, with Symphony as an add-on option to Media Composer. The biggest features were the ability to edit with larger-than-HD video sources (output is still limited to HD), LUT support, improved media management of AMA files and background transcoding using managed folders (watch folders). In addition, Pro Tools goes to 11, with a new video engine – it can natively run Avid sequences from AAF imports – and faster-than-real-time bounce. The MC background transcode and the PT11 bounce will be time savers for Avid users and that translates into money saved. Avid Interplay Sphere (announced last year) now works on Macs, but its main benefit is remote editing for stations that have invested in Interplay solutions. Avid is also bundling packages of ISIS storage, Interplay asset management and seats of Media Composer at even lower price points. Although still premium solutions, they are finally in a range that may be attractive to some small edit facilities and broadcasters, given that it includes installation and support. The other NLE players include Avid DS (not shown), Quantel Pablo Rio, Autodesk Smoke 2013, Grass Valley EDIUS, Sony Vegas, Media 100 (not shown) and Lightworks. Most of these have no bearing in my market. Smoke 2013 is getting traction. Autodesk is working to get user feedback to improve the application, as it moves deeper into a market segment that is new to them. EditShare is forging ahead with Lightworks on the Mac. It looked pretty solid at the show, but expect something that’s ready for users towards the end of the year. It’s got the film credits to back it up, so a free (or near free) Mac version should shake things up even further. One interesting addition to the market is DaVinci Resolve 10 gaining editing features. Right now the editing bells-and-whistles are still rudimentary, though all of the standard functions are there. Plus there are titles, speed changes with optical flow and a plug-in API (OpenFX). You can already apply GenArts Sapphire filters to your clips. These are applied in the color correction timeline as nodes, rather than effects added to an editing timeline. This means the Sapphire filters can be baked into any clip renders. The positioning of Resolve 10 is as an online editing tool. That means conforming, titling and trims/tweaks after grading. You now have even greater editing capabilities at the grading stage without having to return to an NLE. Ultimately the best synergy will be between FCP X and Resolve. Together the two apps make for a very interesting package and Apple seems to be working closely with Blackmagic Design to make this happen. Ironically the editing mode page looks a lot like FCP X would have looked with tracks and dual viewers. I was reading John Buck’s Timeline on the plane. Even though we think of the linear days as having been dominated by CMX, the reality was that there were many systems, including Mach One, Epic, ISC, Strassner, Convergence, Datatron, Sony, RCA and Ampex. In Hollywood, the TV industry was split among them, which is why a common interchange standard of the EDL was developed. For awhile, Avid became the dominant tool in the nonlinear era, but the truth is that hasn’t always been the norm – nor should it be. The design dilemma of engineering versus creative was a factor from the beginning of video editing. Should a system be simple enough that producers, directors and non-technical editors can run it? Sound familiar? When I look at the show I am struck at how one makes their buying choices. To use the dreaded car analogy, FCP X is the sports car and Avid is the truck. But the sports car is a temperamental Ferrari that does some things very well , but isn’t appropriate for others. The truck is a Tundra with all the built-in, office-on-the-road niceties. If I were a facility manager, making a purchase for a large scale facility, it would probably still be Avid. It’s the safe bet – the “you don’t get fired for buying IBM” bet. Their innovations at the show were conservative, but meet the practical needs of their current customers. There simply is no other system with a proven track record across all types of productions that scales from one user to massive installations. But offering conservative innovation isn’t a growth strategy. You don’t get new users that way. Media Composer has become truly complex in ways that only veteran users can accept and that has to change fast. Apple FCP X is the wild card, of course. Apple is playing the long game looking for the next generation of users. If FCP X weren’t an Apple product, it would receive the same level of attention as Vegas Pro, at best. Also a great tool with a passionate user base, but nothing that has the potential of dominating market share. The trouble is Apple gets in its own way due to corporate secrecy. I’ve been using FCP X for awhile and it certainly is a professional product. But to use it effectively, you have to change your workflow. In a multi-editor, multi-production facility, this means changing a lot of practices and retraining staff. It also means augmenting the software with a host of other applications to fix the short-comings. Broadening the appeal of FCP X beyond the one-man-band operations may be tough for that reason. It’s too non-standard and no one has any idea of where it’s headed. On the other hand, as an editor who’s willing to deal with new challenges, I like the fast, creative cutting performance of FCP X. This makes it a great offline editing tool in my book. I find a “start in X, finish in Resolve” approach quite intriguing. Right now, Adobe feels like the horse to beat. They have the ear of the users and an outreach reminiscent of when Apple was in the early FCP “legacy” era. Adobe is working hard to build a community and the interoperability between applications is the best in the industry. They are only hampered by the past indifference towards Premiere that many pro users have. But that seems to be changing, with many new converts. Although Premiere Pro “next” feels like FCP 7.5, that appears to be what users really want. The direction, at least, feels right. Apple may have been “skating to where the puck will be”, but it could be that no one is following or the puck simply wasn’t going there in the first place. For an additional look – click over to my article for CreativePlanetNetwork – DV magazine. The film buffs I know tend to have strong feelings one way or another about a Coen Brothers film. Most have quirky scripts and odd characters that endear audiences to these stories. Movies like Fargo, The Big Lebowski and Oh Brother, Where Art Thou? are a real treat for fans. After all, who would have ever thought that George Clooney would have dared to play Everett as he did in Oh Brother ? 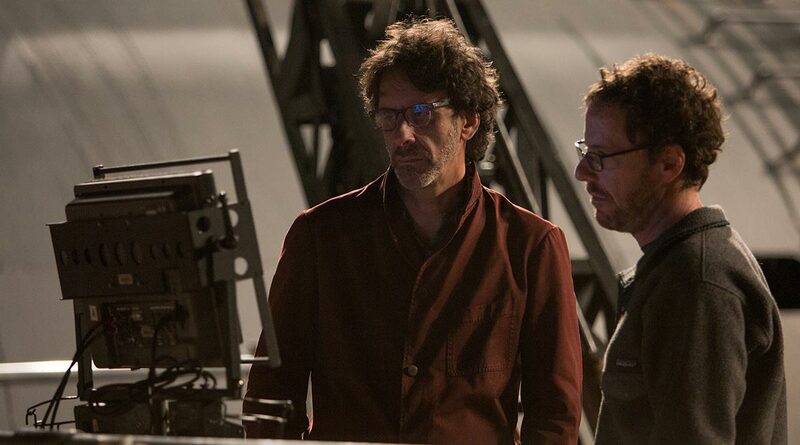 Ethan and Joel Coen form the unique writing, directing and editing team that brings these characters to life. More often than not, these films are played with a lot of comedy and a not-so-subtle wink to the audience, such as in the homage to the climax of The Wizard of Oz when our heroes in Oh Brother approach the Ku Klux Klan rally. Or the fact that the film itself is very loosely based on Homer’s epic poem, Odyssey – only transposed to the Deep South of the 1930s. Their newest release, No Country For Old Men takes a sharply different and darker turn. No Country For Old Men is a crime thriller. The story starts when small town loser Llewelyn Moss (Josh Brolin) finds a pick-up truck surrounded by a sentry of dead men with a load of heroin and $2 Million still in the back. It turns out that this is the scene of a drug deal gone bad, but Moss takes the money, setting off a series of twists and turns as he is pursued by the psychopathic and murderous mastermind (Javier Bardem). Toss in Tommy Lee Jones as the local Texas sheriff and Woody Harrelson as a bounty hunter and this makes for an interesting cinematic mix. This is a story that could have easily been handled with a humorous, maybe even slapstick touch, but the Coens have purposefully kept the story dark, choosing to faithfully adapt the film from a novel by Cormac McCarthy. Just as their approach to writing and directing is a bit unusual, so is their approach to editing. Joel and Ethan Coen have always edited their own films in a tag-team fashion, credited under the pseudonym of the fictitious Roderick Jaynes. Prior to Intolerable Cruelty, they used traditional film editing tools. Ethan would review and mark up takes on an upright Moviola and then hand these over to Joel who assembled the scenes on a KEM flatbed editing table. It’s a system that served them well until convinced to try digital nonlinear editing for the first time on Intolerable Cruelty. With assistance from Apple and the Coens’ post production supervisor, Dave Diliberto, a system was set up that closely mimicked their idiosyncratic workflow. This approach has since been expanded on the subsequent films. Thinking that maybe I should take the bell comment with a grain of salt, I picked up the conversation with Neil Stelzner, the associate editor on No Country For Old Men. Stelzner is the one covering the technical bases and shared a hand in cutting scenes on the latest film. Stelzner said, “No, they weren’t pulling your leg. They do actually work that way and they do use that bell. Joel and Ethan cut in the same room, right next to each other. The bell is used to alert Joel when Ethan has selects he wants Joel to pick up.” Their cutting room layout has grown since the initial set-up used for Intolerable Cruelty,. With this film, the Coens made the move to two systems connected to an Apple Xserve server using the Apple Xsan shared storage network. In the past, they were moving DV media across Ethernet between the computers, but in this more recent approach, common shared media files are accessible to both workstations courtesy of Xsan. Joel and Ethan still work off of individual versions of the projects, so when Ethan saves his file and closes it, Joel is able to access it from the server and assemble sequences. No Country For Old Men was shot on 35mm film by director of photography, Roger Deakins, a long time Coen Brothers collaborator. Dailies were processed at Deluxe and transferred to HDCAM at Laser Pacific, as well as to DVCPRO HD files stored on FireWire drives. These drives were sent to the cutting room so the media could be copied to the Xsan storage. While Intolerable Cruelty was cut at DV resolution, this latest round took advantage of the better resolution of DVCPRO HD. Laser Pacific also transferred the dailies to D-VHS tapes. In this format compressed HD video is stored on VHS-sized cassettes with a signal quality comparable to high definition, digital broadcast television. These tapes were sent to the set for the production company to review dailies in a high-quality and easily-transported format. When it came time for audience preview screenings, DVCPRO HD QuickTime files were exported from the Final Cut Pro systems (complete with the temp mix of the film) and sent to Postworks New York, who in turn output these files to HDCAM masters for projection. Once the cut was locked, first assistant editor Katie McQuerrey generated edit decision lists (EDLs) and QuickTime picture-reference files that were sent to EFILM. There the original negative was scanned, conformed to the cut, digitally color-corrected and recorded out to film.